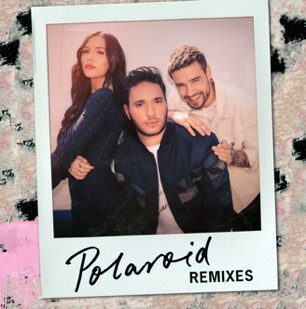 16 November 2018 (Toronto, ON) - Following the release of his debut album Blue, Platinum-selling hitmaker Jonas Blue has delivered the dynamic remix bundle for his latest single “Polaroid” featuring Liam Payne & Lennon Stella, the original of which has already gained monumental success, surging to over 50 million global audio streams. Listen to Blue HERE. With R3HAB recently spinning his own big-room rework of the hit, the latest remix package sees Jonas team up with GRAMMY-nominated New Yorker CID on their collaborative mix; a club rework that harks back to the funkier sound of Ibiza in the early noughties. With hugely popular French producer Hugel - best known for his huge single “I Believe I’m Fine” (65 million Spotify streams) - offering a more bass-heavy feel to “Polaroid”, the track follows his massive remix of El Profesor’s “Bella Ciao” which dominated dancefloors globally throughout summer 2018. Next up are the warm grooves of Zac Samuel, the DJ responsible for remixes with the likes of Syn Cole (“Got The Feeling”), Alice Chater (“Heartbreak Hotel”) and M.O (“Who Do You Think Of?”), as well as previous productions with Years & Years, Hannah Wants, SeeB, and Zara Larsson. The package is rounded off by Nolan Van Lith’s mix with the 21-year-old producer adding a slick down-tempo trap feel to his production. The rework follows the Detroit artist’s recent remix for The Chainsmokers’ “Side Effects”. Listen to the “Polaroid” Remixes HERE. Following another huge summer for unstoppable hit-maker Jonas, who enjoyed a successful Balearic residency at Hi Ibiza, “Polaroid” looks set to follow in the footsteps of Jonas’s previous single “Rise” (over 750 million global streams), and follows the launch of his debut album Blue last Friday, a 15-track production packed with all of the UK star’s biggest hits including his stellar singles, “Fast Car”, “Perfect Strangers” and “Mama”. Amassing 4 Brit Award nominations, Jonas continues his meteoric rise and has also recently launched his own record label, Blue Future. The remix package for “Polaroid”, including cuts from CID, Hugel, Zac Samuel, and Nolan Van Lith, is out today, Friday, November 16.